CONCEALED BLADE: Patch 2.5: Overload Shot gets Overloved. Then Shot. Hello, fellow Agents of the Empire! It’s been a while since the last update here but for good reason! There has been nothing to really update about. Sure, additional features could be added to the site in specific, but unfortunately, I currently don’t have the time for that. Having two jobs and all. Anyway, an update is afoot! And I am here to make it short and sweet for us Agents. And those stray Smugglers that may have stumbled upon this site. So, without further ado, I give you an Agent specific Patch 2.5: Galactic Starfighter Early Access! For the full patch, click here. 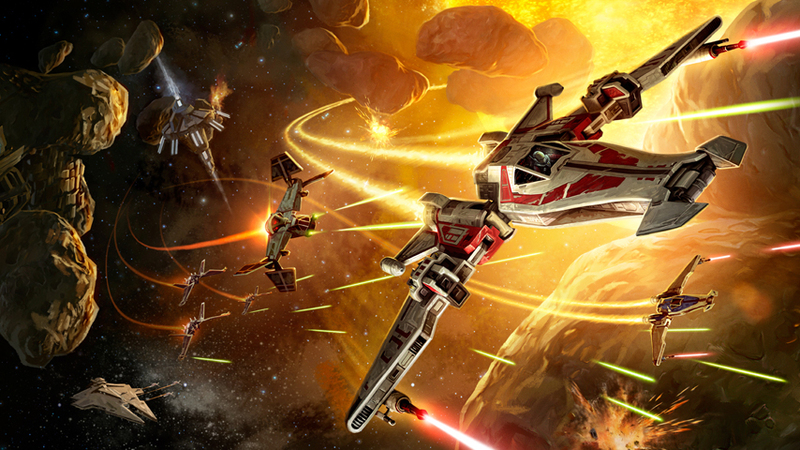 Game Update 2.5: Galactic Starfighter Early Access . - Cleanse is now defined as an effect which removes a limited number of a certain type (or types) of negative effects, usually Force or Tech, from the target. - Purge is now defined as an effect which removes all negative dispellable effects of a certain type (or types) from the target (usually self). - Many ability tooltips have been updated to properly indicate whether an ability cleanses or purges negative effects from a target. - Increased the damage dealt by Overload Shot. - Operatives are now able to be charged and pulled by other players while in Cover. - Obroan Relics of Devastating Vengeance, Serendipitous Assault, and Focused Retaliation have had their triggered stat effect increased to 740. - Dread Forged Relics of Devastating Vengeance, Serendipitous Assault, and Focused Retaliation have had their triggered stat effect increased to 625. - Training Dummy Basic Health Modulator - Gives your training dummy 500,000 health and removes the Dummy's health regeneration. - Training Dummy Standard Health Modulator - Gives your training dummy 1,000,000 health and removes the Dummy's health regeneration. - Training Dummy Advanced Health Modulator - Gives your training dummy 1,500,000 health and removes the Dummy's health regeneration. - New Legacy Unlock: Raid Markers – They are available for 375,000 credits at Legacy level 20 or 300 Cartel Coins. This can be pretty helpful in many PVE battles. It helps take away the guesswork from debuffs placed on players throughout encounters. Though this will still require you to remember what cleanses/purges what, it's a fair addition to help the individual. I had previously done the math for the damage increase. If I recall correctly, it was about a 23% damage buff. Not a huge deal. I still dont see it being used as a filler. Not with the high energy cost it still has. So, as mentioned before by 99.99% of the community, this buff is pretty useless. It seems that the point of this is to attempt to "balance out" the loss of DPS we will receive once the Orbital Strike nerf shows its ugly face. Which makes no sense because in order to balance DPS loss, you need to give us a DPS gain. This buff is not a gain. It's just a lame attempt at trying to have us use this expensive ability. Fix the energy regen and maybe, just maybe, Overload Shot will become a viable choice as a filler. A straight up nerf that is fair, in my opinion. We have no reason to have the ability to use cover. That's a Sniper thing. Will mostly affect PVP healers. Which was quite needed anyway. This is probably the best thing out of this patch for us. Specifically the Serendipitious Assault Relics. Unless I'm mistaken, I beleive the PVE version already had an increase of 625, so there's either a typo here or my brain is malfunctioning. Either way, more DPS is always a good thing! This is clearly a fantastic addition for us PVErs who want to test out our DPS against stationary "raid bosses." I know I'll be unlocking this as soon as I get the chance! As for the raid markers, I believe it's an overdue addition. I'm happy we're getting it regardless. Quality of Life improvements are always great. So, technically, Galactic Starfighter is a SWTOR expansion. Unfortunately, this doesn't really meet the criteria for a new expansion. It's patch 2.5, not 3.0. It does not have any additional content that affects the overall storyline of the game. And finally, Bioware themselves claimed that major class changes will be held off until the next major expansion. No class changes here, so, this is clearly not considered a major expansion. In the end, its a free PVP expansion that adds to the fun for most of us. I have nothing to complain about.